Cut the two croissants in half, I like to put them in the freezer overnight they are easier to cut frozen. 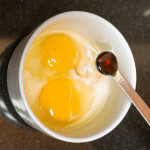 In small bowl combine eggs, half and half and vanilla, pour into a shallow pan. 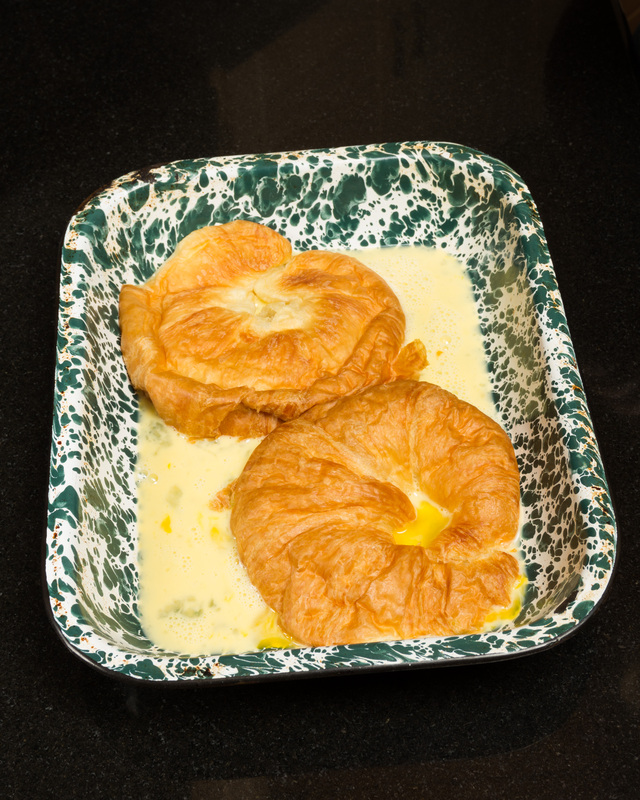 If your croissants are a large add an extra egg, set aside. 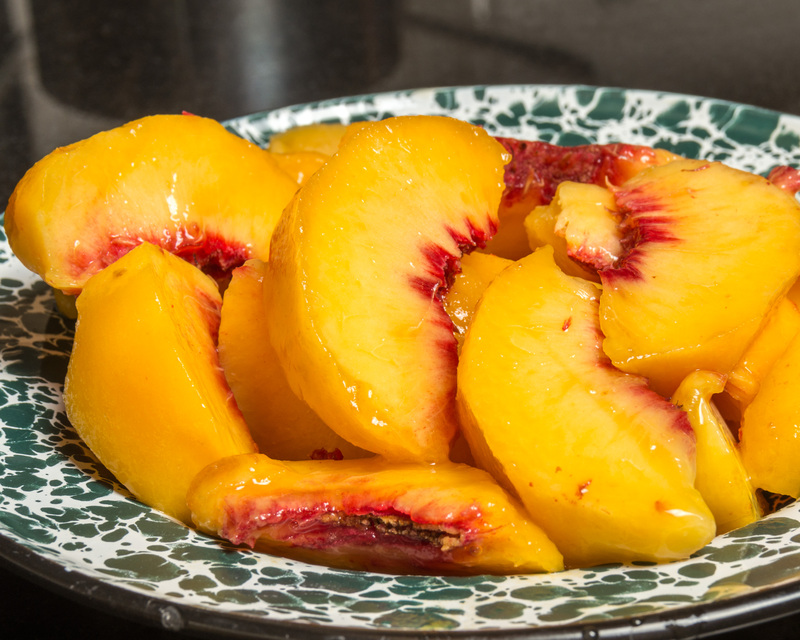 Combine peaches, brown sugar, water, cinnamon and nutmeg in a 1 quart saucepan. 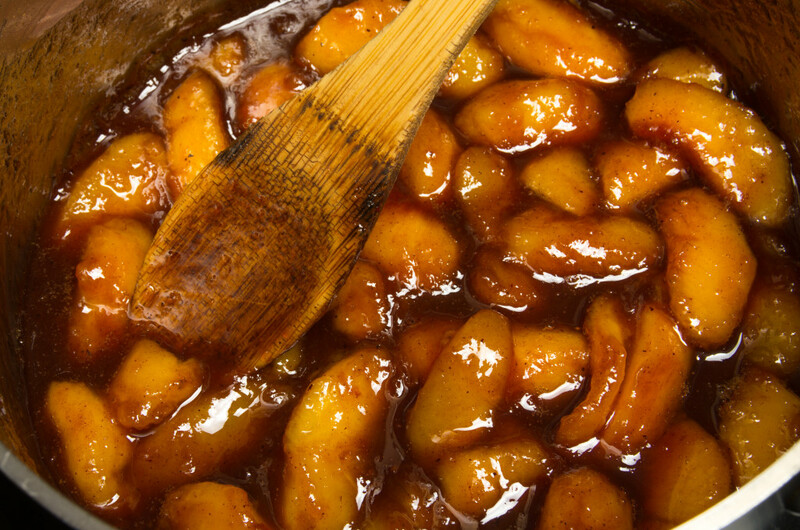 Cook over low-medium heat for 10 minutes or until the mixture is a medium-thick syrup, stir occasionally. 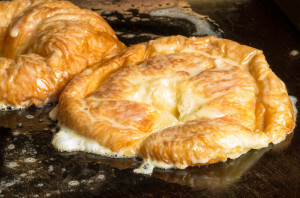 Set aside and cook your croissants. 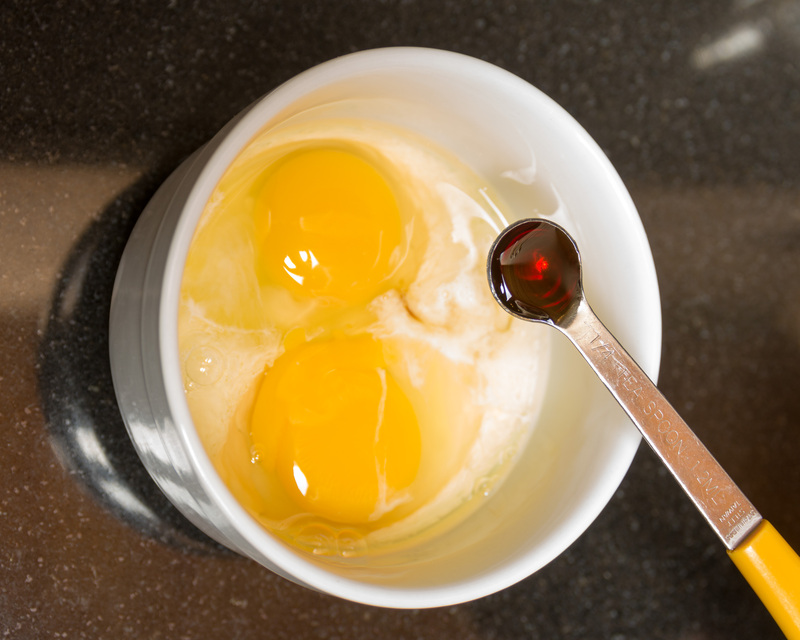 If you have a flat top grill heat to 400 degrees or in a large skillet over medium-high heat add 1 tablespoon butter. Open the cut croissant and place in egg mixture pressing down to coat flip over and coat the other side. Place cut side down on grill or in skillet and cook about 2-3 minutes, or until brown. Flip over and cook the second side this will take less time about 1 ½ to 2 minutes. 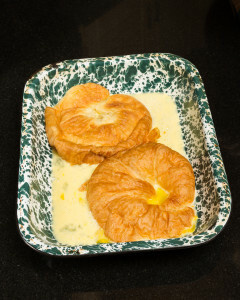 To assemble place croissant bottom on plate and fill with ½ the peach compote, place on the top of the croissant. 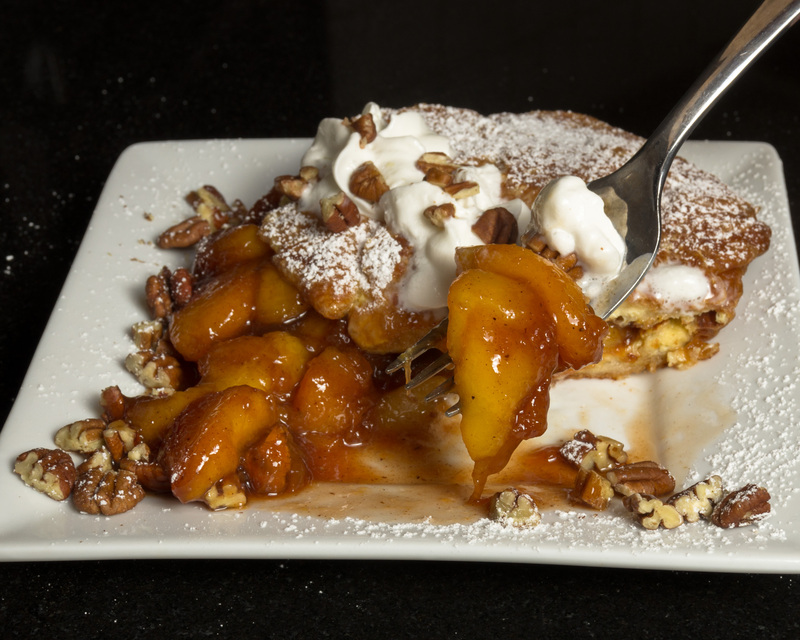 Sprinkle with powdered sugar and garnish with the whipped cream and pecans.